Last February 9 was a busy day for me. I had a 7:30 am call time for the Chinese New Year fashion show I helped my dad and his Filipino Chinese Business Club organize at Lucky Chinatown Mall. By lunch time, I had to rush to one of my high school best friends’ engagement party. After that, I went straight to SM Makati for my Majolica Majorca Lash King Face-off event which lasted all the way until 7:30pm. My night didn’t end there! I had to go back to Lucky Chinatown Mall to try and make it to the fashion show proper which I unfortunately missed. Whew! That’s Binondo to Greenhills to Makati and back to Binondo! Needless to say, my body was ready to crash. Good thing I had a room waiting for me at Ramada Manila Central. 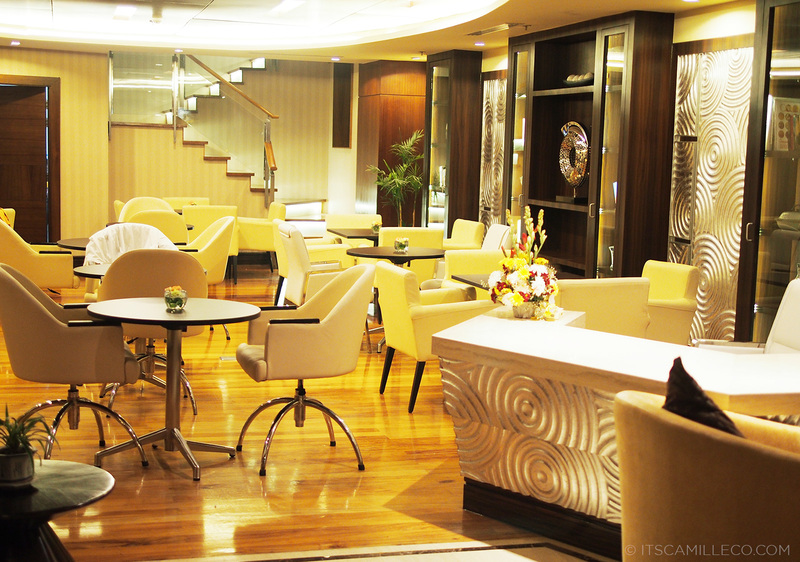 I’m sure a lot of you didn’t know that there’s already a hotel like this at the heart of Binondo. I sure didn’t! 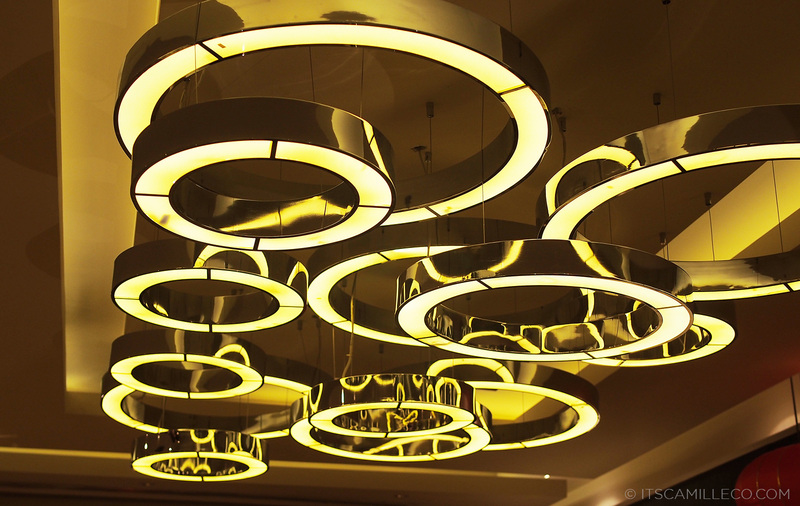 It was a pleasant surprise to find out that Binondo now has it’s first four-star international-standard hotel operated by Hospitality International, Inc. (the same group that runs The Henry and Picasso in Makati). 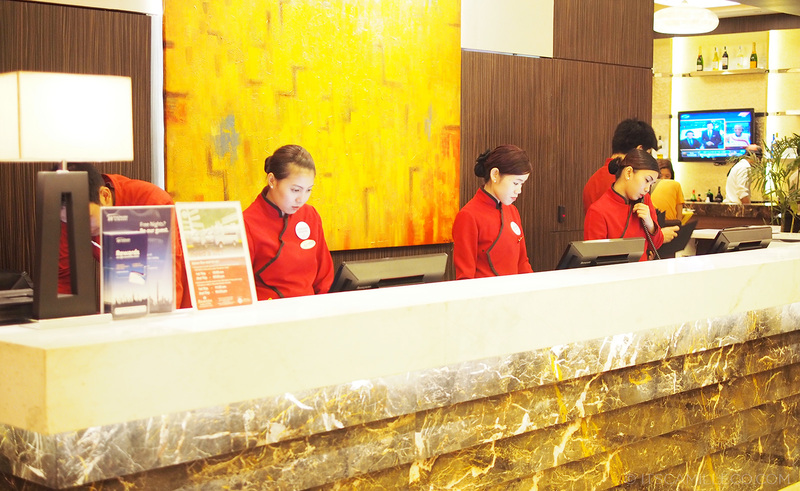 It’s under a license agreement with Ramada Worldwide so like other Ramada hotels, Ramada Manila Central has first-rate amenities, modern features, well-appointed rooms and delicious dining options. 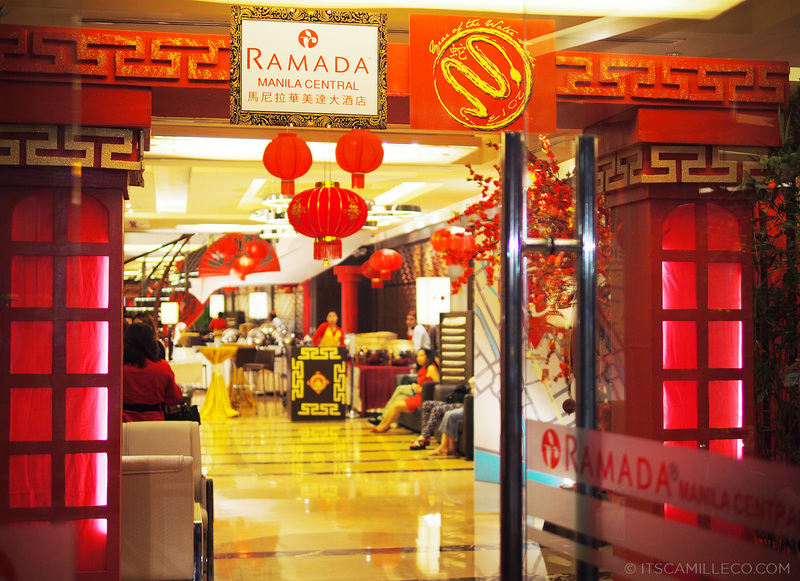 Since it was the eve of Chinese New Year, Ramada looked especially festive. The whole lobby was sprawling with guests eager to participate in Chinese New Year festivities at the world’s oldest Chinatown. Yes, you read that right. Binondo is the oldest in the world! 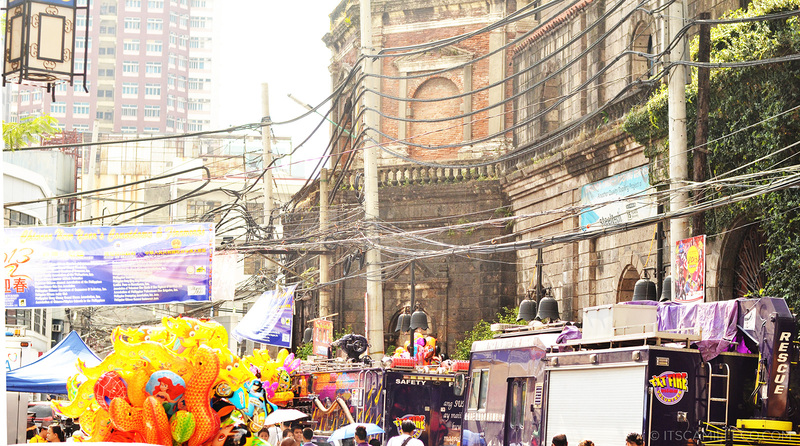 From being a simple Chinese settlement in the 15oos, Binondo is now a bustling district filled with landmarks, merchants and artisans that offer unique finds, cultural experiences and scrumptious food. Although all that I’ve mentioned above seem so enticing, a warm shower and a soft bed were all that I could think of upon arriving at the front desk. It was my first order of business. Don’t get me wrong, I really wanted to explore Chinatown but my body felt otherwise. Hello there, fluffy bed! Finally, we’ve met! LOL. 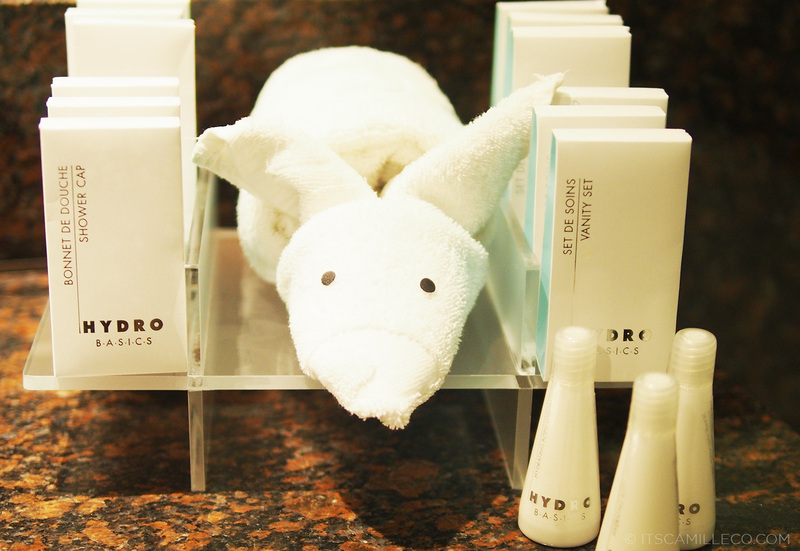 Notice the cute towels rolled to resemble tortoises? Or did you notice the tikoy and fruits first like me? Huli! Tawag diyan, patay gutom. What? Don’t judge. I’m a hungry girl! After freshening up, I went straight to the lobby to get some Chinese food. 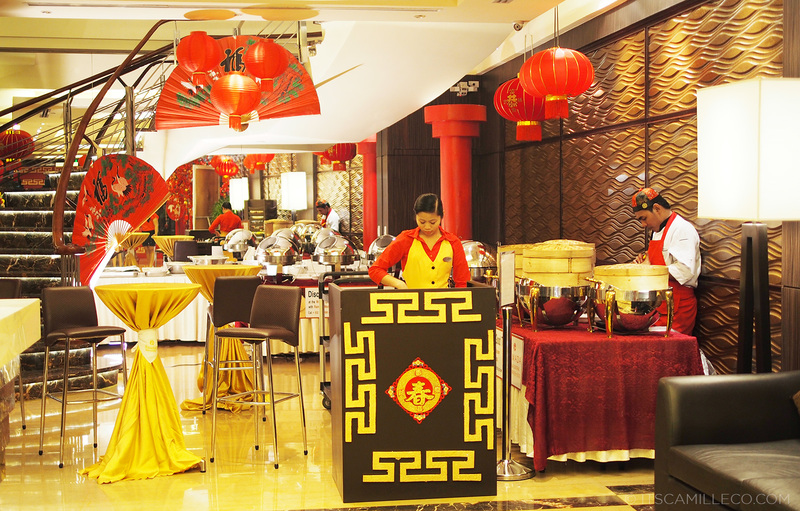 Ramada had a special buffet set up in celebration of the Chinese New Year which includes classics like siomai, siopao, tikoy and more. Yum! Just what I needed! After that much needed snack, it was time for cocktails at the roofdeck as we waited for the countdown and fireworks to start. 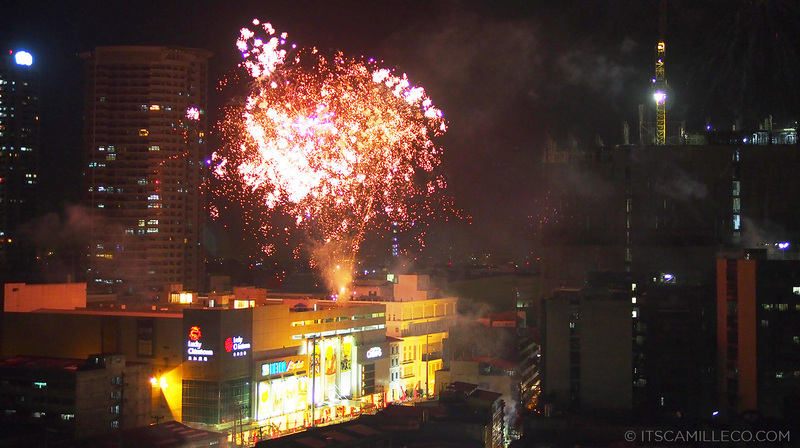 Ramada is located right at the corner of Quintin Paredes and Ongpin Streets which makes it the perfect spot to watch the firework display. 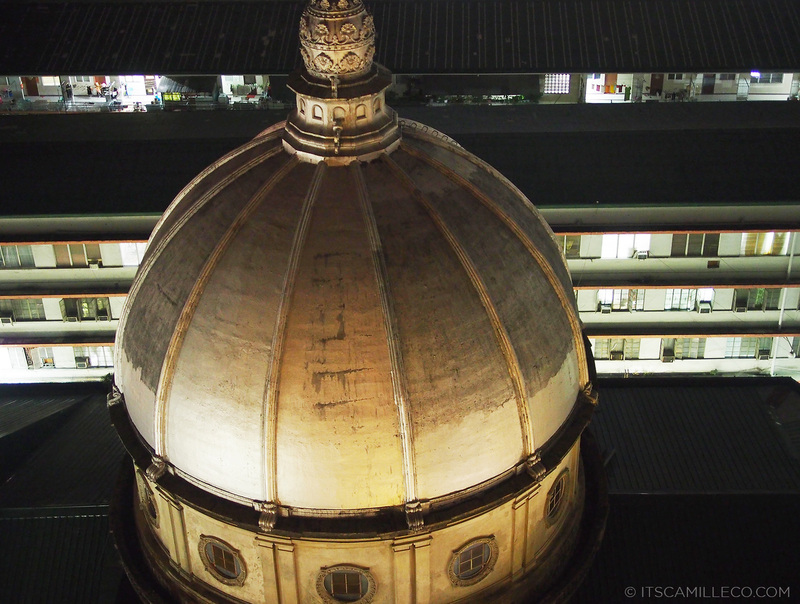 It has an enchanting view of the beautiful 400-year old Binondo Church. And you can see Lucky Chinatown Mall not very far away. 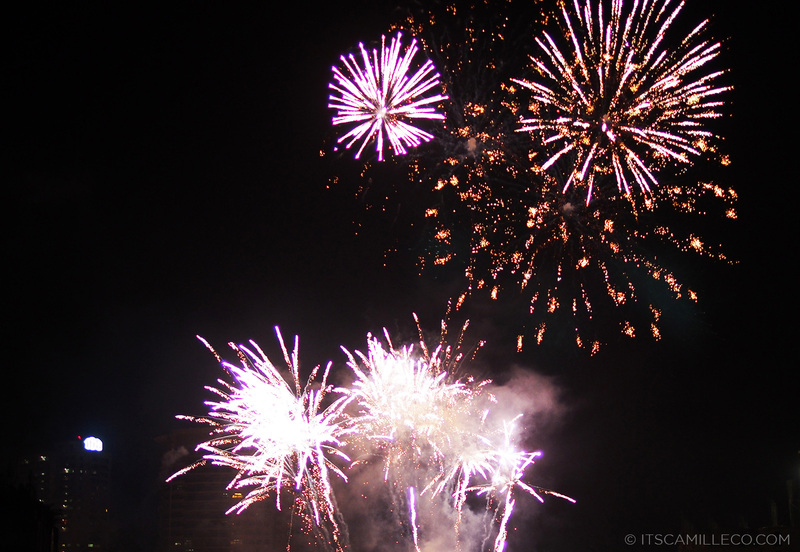 When the fireworks started, I seriously didn’t know where to look first. 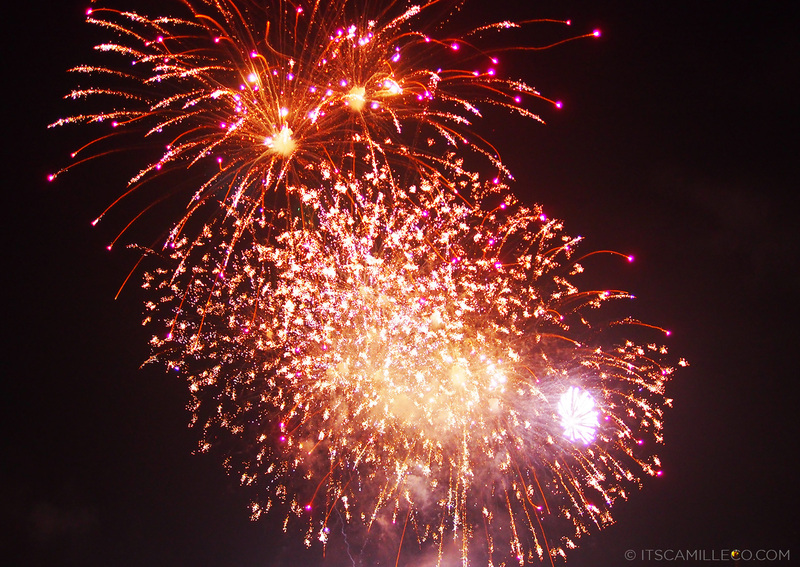 Fireworks left and right! It was my first time celebrating Chinese New Year this way. Usually, I just eat out with the whole clan. 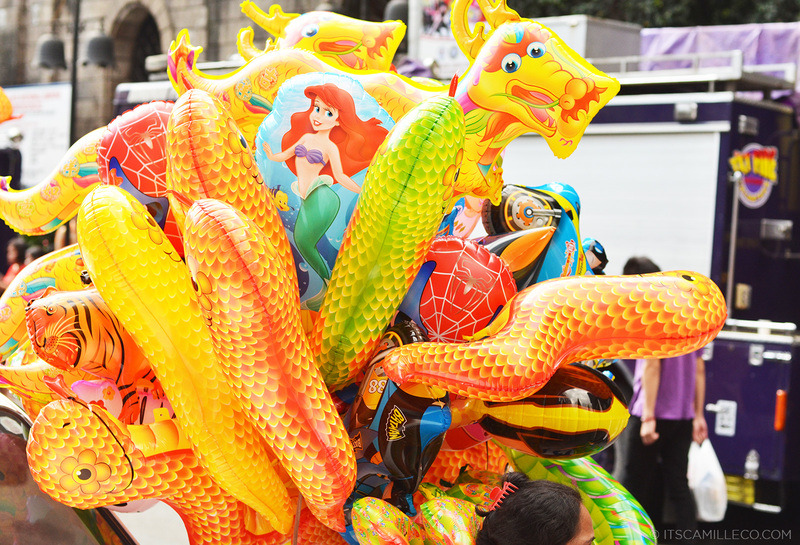 Seeing Chinese New Year being celebrated this way at the heart of Chinatown was a totally different experience. My friends and I felt like we were abroad! The atmosphere was really something else. I can’t seem to find the words to describe it. It was so enriching and culturally charming. The next day proved to be even more festive. I’ve seen Binondo countless times, but never like this. 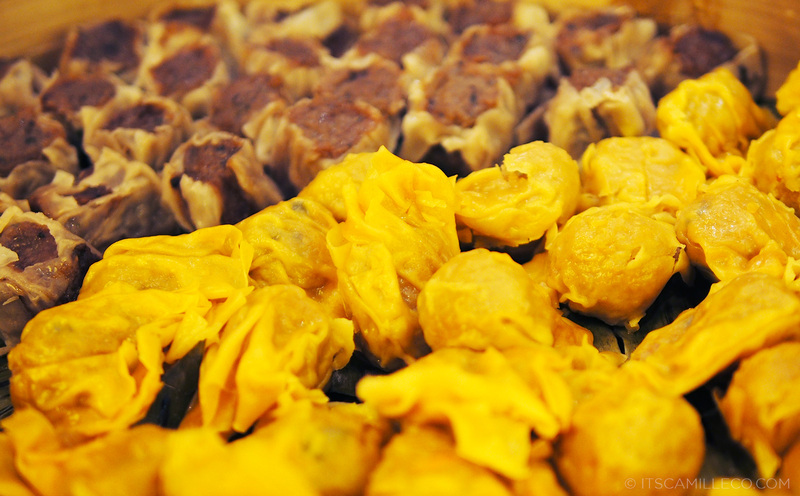 There were so many tourists and locals alike–eager to experience Binondo like never before. 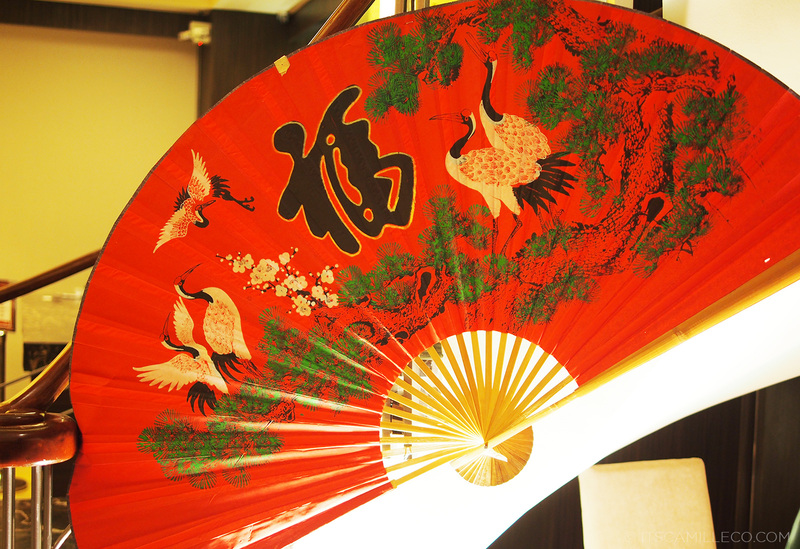 Ramada is actually a hub for plenty of Binondo’s tours collectively called Discover Binondo. 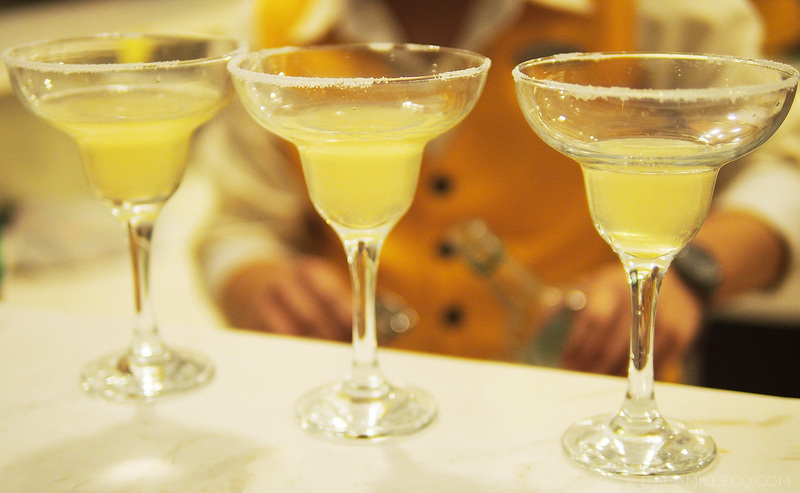 You can choose among food, heritage and shopping tours. 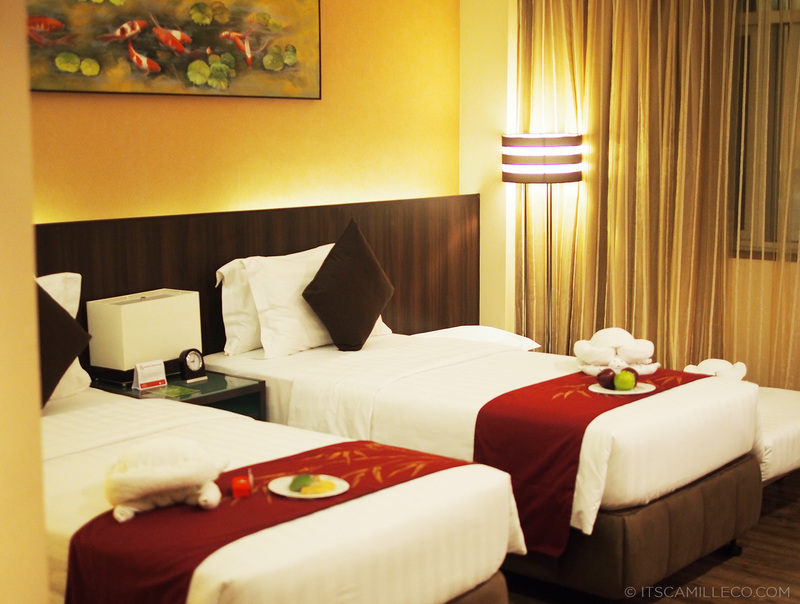 If you book a stay with Ramada, you can also gain access to a lot of Binondo’s points of interests and get dining and shopping deals all over town. If I didn’t have to leave early, I would’ve loved to go on a tour or two. My friends and I are actually planning to go on one some time this year. I really want to try the walking food tour and heritage tour. Oh Binondo, I never thought you can charm your way into my heart. Surprisingly, you did. Before I end this post, what’s a Chinese New Year celebration without a Chinese New Year outfit? 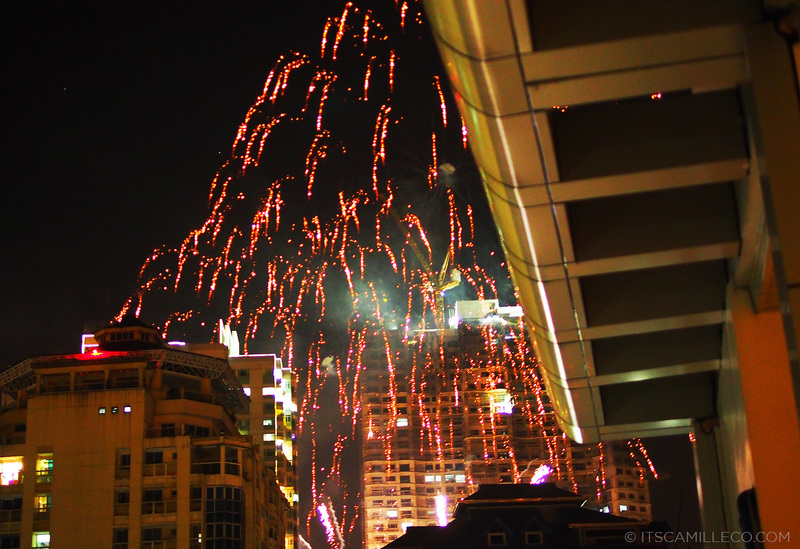 Red and gold for a year of prosperity! Teehee I want to gain! :) Thanks Jill! First time I think I’ve seen you wear wedge sneakers. If I remember correctly, you don’t fancy them too much, am I right? 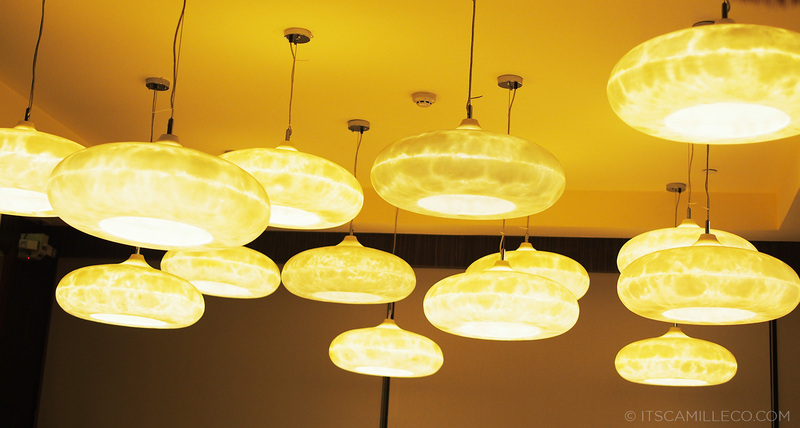 AS for Ramada hotel, I have to pay that place a visit. 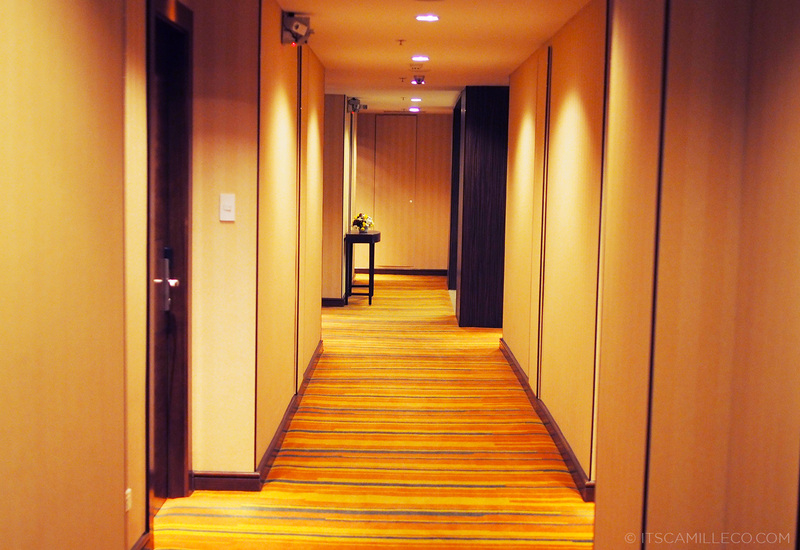 Those are very well appointed rooms. :) Nice attention to detail. I am more convinced to buy those wedge sneakers because of you :) Love it!!! the top and the cardigan is beautiful :) una ko po ding nakita ang foods. :) haha. Ooops. I think my comment didn’t send last time. hehe. You have excellent photos! Did you personally take them? This my kind of outfit! I love love love it. I like how you write your blog. Super nakakaenjoy. OMG!!! I’m in love with your shoes! So nice!!! experimenting matching is really your game. What a PERFECT looking place! I also loved your golden jacket!!! I love your gold cardigan! And your shoes! Are the shoes comfy? I have ben on hunt for some stylish yet comfy wedge sneakers. BTW the outfit is amazing and I hope you had fun. Lol I am stuck in boring ol USA. Thank you Isa! :) Staycation was much-needed indeed! The hotel place looks really amazing! 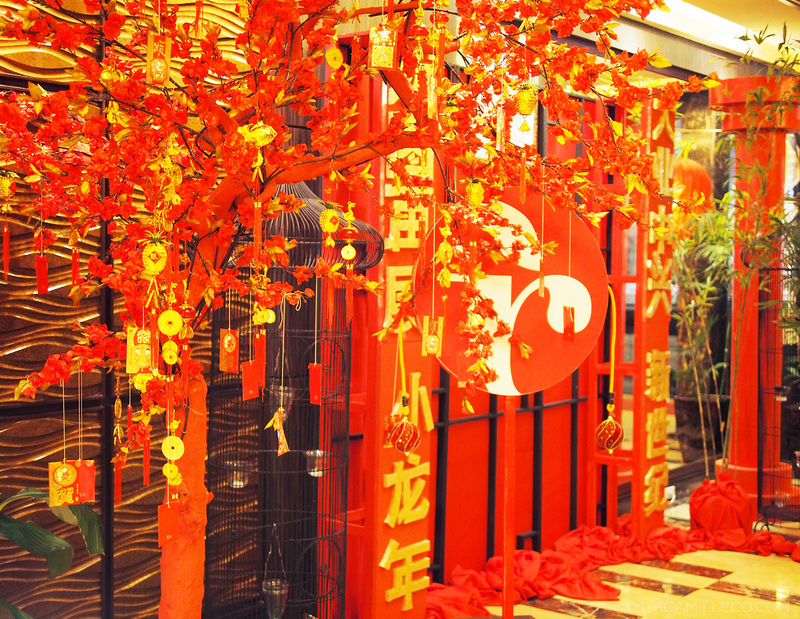 I love the Chinese new year decorations, especially that red flower tree! And the balloons are soooo cute. Your outfit is awesome too. I love the gold and red combination! Those red sneakers are hot! Walang sequence naman to :) I always get confused between small and medium! Aww how can you not notice that the lanterns [1st and 3rd photo] forms as a hidden Mickey :P And yes, I noticed the foodies before the adorable towels! lol so I guess I’m a member of the patay gutom club :P Anywayz, back to your outfit post, that cardi is to die for! Waaaaaaaaa I want 1! I want H&M in Bacolod NOWWW! Thanks Kathleen! :) Hidden mickey!! love!!! <3 the sneakers most especially! I should have gone to Binondo when I went to Manila. It’s beautiful! Lovely photos and you look great!! Love the gold, leopard and red combination. I love all your looks, not because is my style but you can wear and look stylish, just being Camille! Besos. Giveaway in my blog! Win Statement necklace! Those are some awesome photos! And a great outfit like always! Oh really? How cool! It always surprises me whenever I find out there are guy readers here! :) Thanks Christian! Would you call me weird if I say that what I love in this outfit is your MK watch? :) It’s such a juxtapose to your casual look. Your necklace and the sling of your bag looks very much the same in the photos. And I love your wedge-sneakers! Really fits on the occasion…At sobrang naintriga ako sa klase ng tela ng cardigan. Nalalabhan pa po ba yan?! Yes, nalabhan naman siya :) Thanks Gladys! i super enjoyed this post!! all in one!! 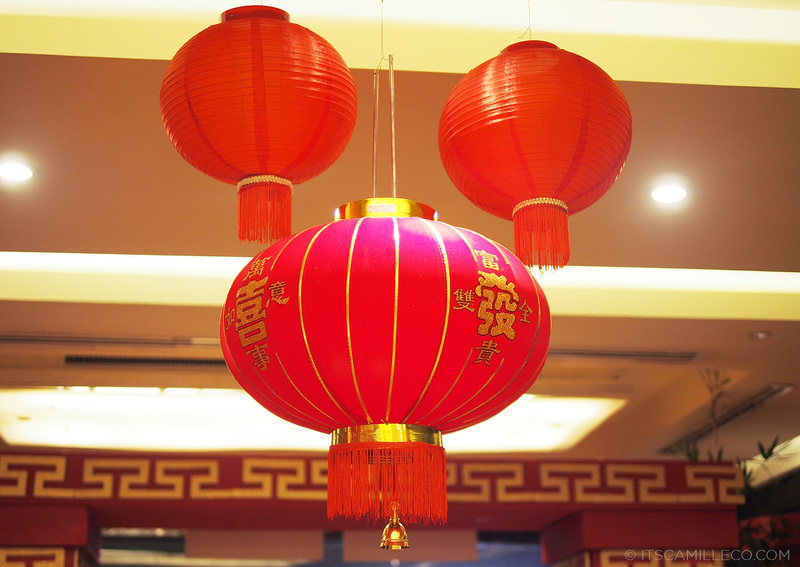 it really look like Chinese new year,surprizing you r a chinense. yesterday it is my first time read your blog,i like your style,your print to print outfits looked so amazing,but some items and brands are not available in China,what a pity!! i do like the print items of binky doodles,they are fabulous,but they r not available in China!!!! !i m really upset now. Looks like you had a good new year’s! The towels are so cute!!! And I love Chinese food, especially dim sum! Thanks Nadine! :) That day was hectic! wow, you’re now a fashion designer, sometimes a model, sometimes a stylist and an awesome photographer! I LOVE YOUR NECKLACE! 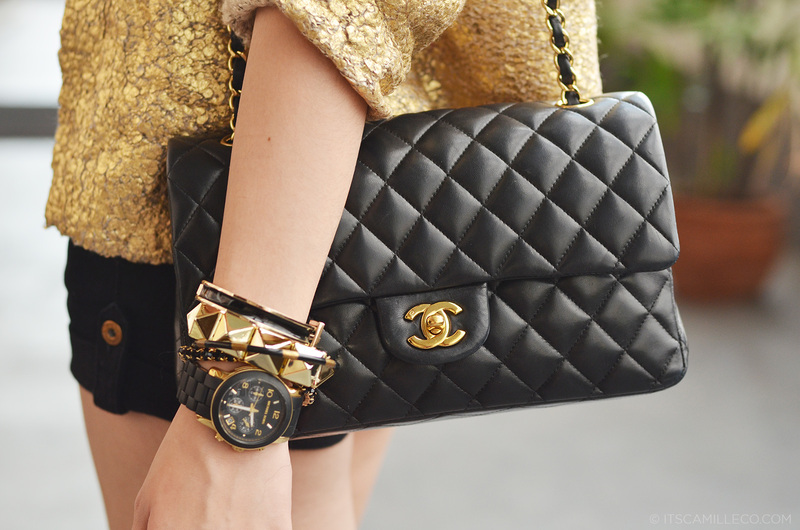 Is it Chanel? 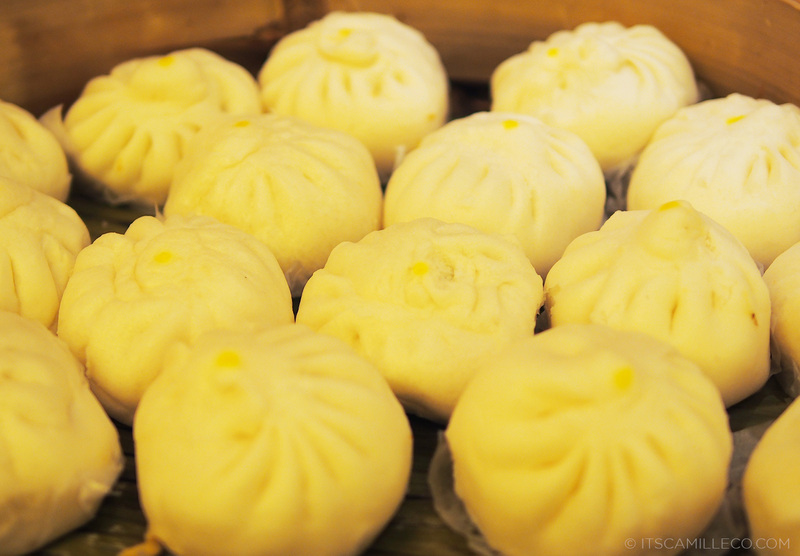 This must be one of my favorite posts ever because I learned so much about Binondo. 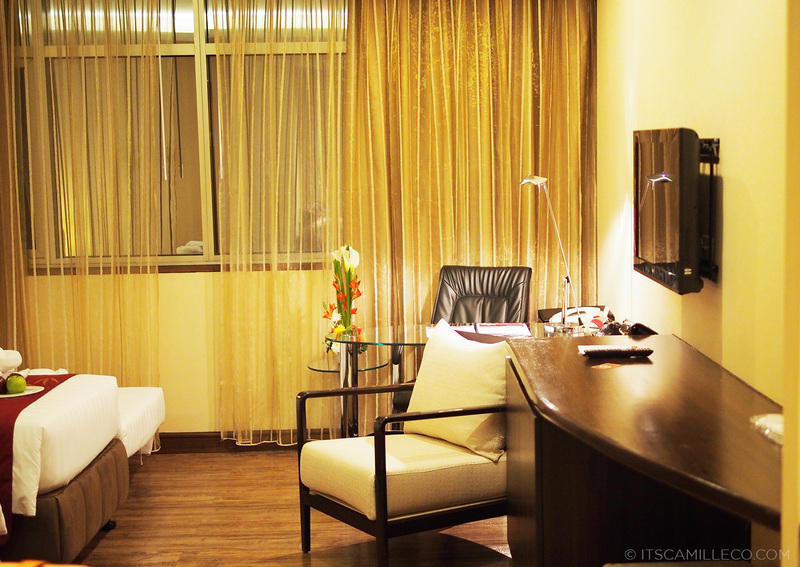 I’ve been a huge fan of Picasso hotel since doing a shoot there last month, so if the same group is managing Ramada in Binondo, then I’m sure I’ll find it a good place to crash should I find myself needing a place to stay there. :) Great post!